TGLH "Every Man For Himself and God Against All"
First issued by limited CD release in 2010, "Every Man For Himself and God Against All" is the first full-length by The Grasshopper Lies Heavy. Now remixed, remastered and reissued by Crowquill Records for the first time on vinyl in 2014. Originally engineered and mixed by Bob Catlin. Remixed by Aaron Coker (Writer/Producer/Engineer: Sisters of...), and remastered by James Plotkin (Engineer: Nadja, Sunn O))), ISIS, Pelican, Earth, ...). Artwork by Underbelly. 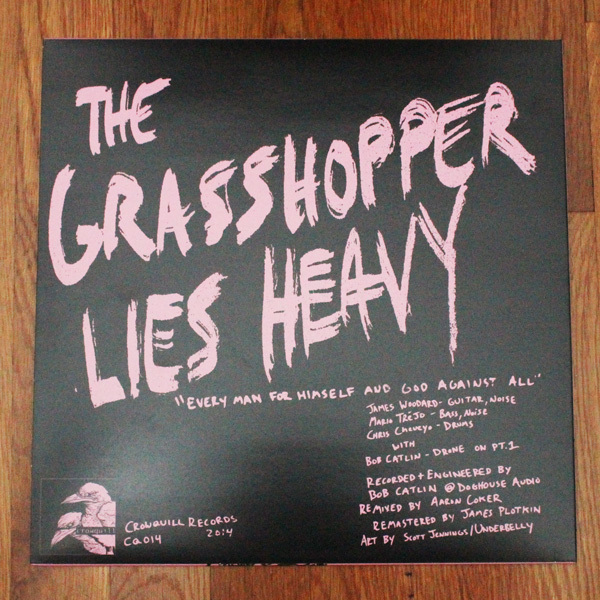 On this recording, The Grasshopper Lies Heavy was: James Woodard (Guitar, Noise), Mario Trejo (Bass, Noise), Chris Cheveyo (Drums). Also pickup TGLH's other 2014 LP "All Sadness Grinning Into Flow" out now on Learning Curve Records. Released July 26, 2014. 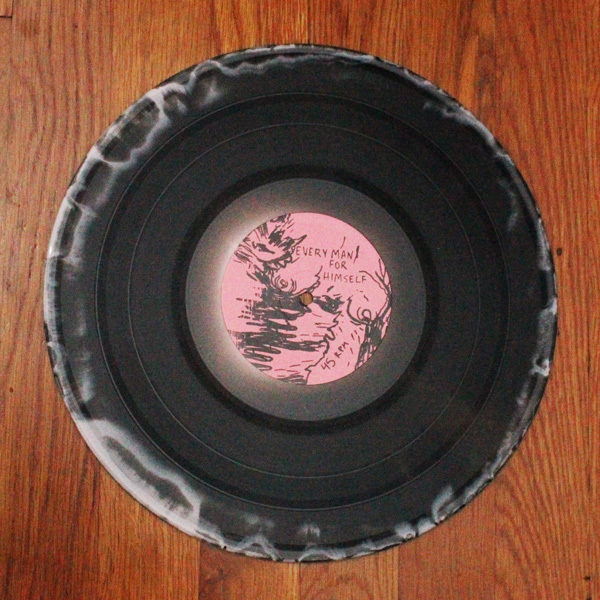 First pressing of 300 units on 140-160g mixed color (pink/black) vinyl. Instant download after purchase, and additional download card included so you can give it to a friend.